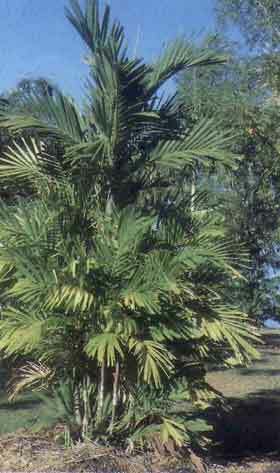 Description: A small palm of moist rain forest that favours light to moderate shade, a rich moist loamy or sandy soil and high humidity. Has numerous stems and is fairly hardy. A highly attractive clumping palm.